Featured on the Green Bay Progressive Today! https://newiprogressive.com/images/stories/S5/cannabis-cbd-s5.jpgState Legislator says we need to stop turning marijuana users into criminals, introduces bill to fully legalize marijuana in Wisconsin. http://newiprogressive.com/images/stories/S5/sand-mining-wi-man-s5.jpgWisconsin environmental advocacy group evaluates new Administration on it's efforts to promote clean water, air, and energy and protect our public lands, lakes, rivers, and wetlands for future generations. Republican action ‘Height of Hypocrisy’ as majority party continues to ignore student loan debt crisis, mass layoffs and child safety. 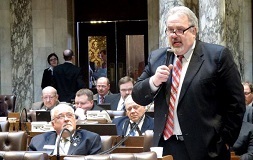 MADISON – Senate Republicans voted to pass Senate Bill 707 Tuesday while once again refusing to take up the Higher Ed, Lower Debt Bill and address Wisconsin’s growing student loan debt crisis. SB 707 was introduced by Republican Party leaders to block Winnebago County Executive Mark Harris, a Democratic candidate in the 18th Senate District, from serving in the Legislature. Republican lawmakers had no problem with Gov. 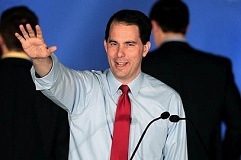 Walker running for office on the taxpayers’ dime. No complaints were raised when conservative Rep. Bob Ziegelbauer served as Manitowoc County executive for more than six years. In fact, Republicans recently urged Sen. Paul Farrow to stay in office while simultaneously serving as Waukesha County Executive so he could vote on the state budget and support the Milwaukee Bucks arena deal. Legislative writer Tony Palese contributed to this story. 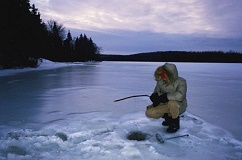 http://newiprogressive.com/images/stories/S5/icefishing-river-s5.jpg Sen. Kathleen Vinehout is working on a bill to restore the ability of people to cross railroad lines to access public lands. Laws meant to protect energy providers from protesters are being felt by folks who cross over land to access public areas, such as fisherman along the Mississippi River. A new Republican bill (AB 547) could make matters worse. http://newiprogressive.com/images/stories/S5/wisconsin_farm_windmill_s5.jpg Gov. Scott Walker's politically motivated executive order barring state agencies from working on the state’s Clean Power Plan implementation may cost ratepayers up to $55 million on their energy bills and will almost assure that EPA will impose a federal plan on Wisconsin.